Meghalaya chief minister and National People’s Party (NPP) national president, Conrad Sangma said on Tuesday that his party is waiting for the appropriate moment to severe ties with the National Democratic Alliance (NDA) government over the contentious Citizenship (Amendment) Bill, 2016. Sangma said he will take a final decision if the government tables the bill in the Rajya Sabha, adding that he respects the sentiments various pressure groups and also the people of the State in particular and the region in general. The NPP is in alliance with the BJP-led government in Manipur and Arunachal Pradesh. On the other hand BJP is in alliance with the NPP-led Meghalaya Democratic Alliance (MDA) government in the State. Notably, Sangma has been spearheading a lobby of leaders from various regional parties of the Northeast and creating pressure on the Central Government not to table the controversial bill in the Rajya Sabha. The bill was, however, passed in the Lok Sabha on January 8 last. Conrad also said that he along with other leaders from various political parties in the Northeast have been persuading leaders across other political parties in New Delhi not to vote in favour of the Bill if it is brought in the Rajya Sabha. “We are also in touch with leaders of Samajwadi Party and Bahujan Samaj Party on the matter,” Conrad further added. 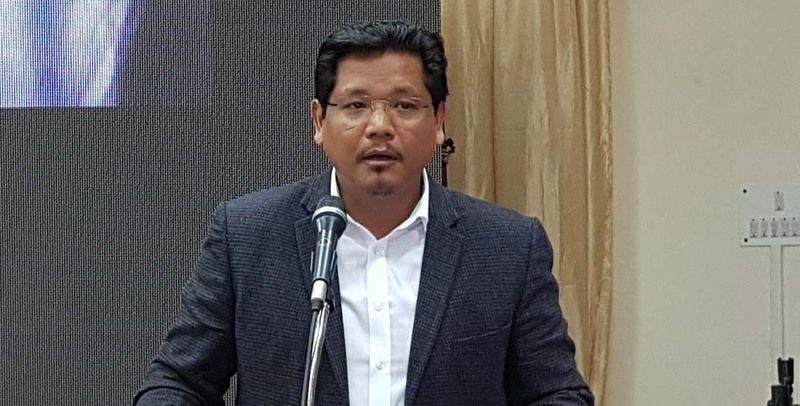 “The NPP along with several other political parties of the Northeast are totally against the Citizenship (Amendment) Bill as it will change the demography of the region wherein the identity of ethnic communities in the region will be adversely affected,” Sangma also said.